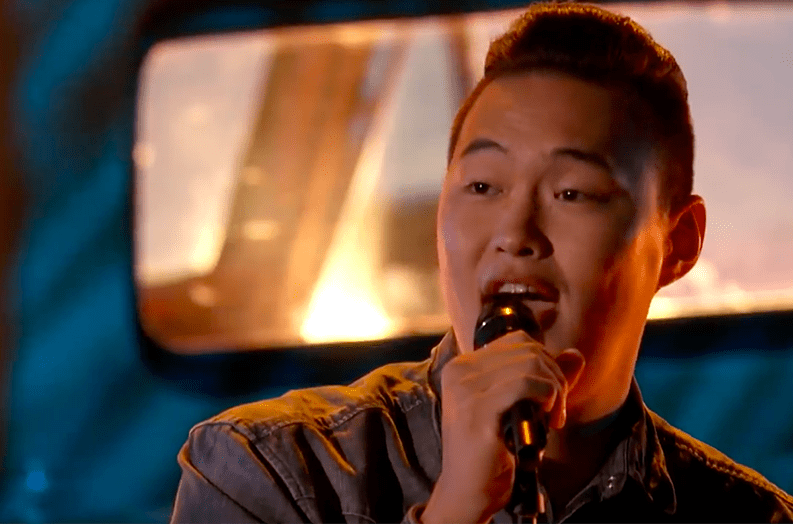 The World's Best, a new CBS talent competition featuring Faith Hill as a judge, premiered Sunday night (Feb. 3) after the Super Bowl and hands down the best moment was when Enkh-Erdene (aka the "Mongolian Cowboy") took the stage to sing George Strait's 1983 hit "Amarillo By Morning." Erdene doesn't speak English. but that didn't stop him from delivering a flawless version of the country classic. The camera pans to Hill, the panel's lone country singer, when Erdene begins singing and her shocked reaction is priceless. Hill, along with fellow judges Drew Barrymore and RuPaul Charles, gave Erdene a standing ovation. Erdene first turned heads on Mongolia's Got Talent a couple of years ago when he performed the Strait song and showed off his impeccable Elvis impersonation. The World's Best features talent from across the globe and from multiple genres. The show also features 50 experts from across the world and from various fields of entertainment. Faith Hill is the latest country star to serve as a judge on a talent competition. Luke Bryan is currently on the American Idol judging panel and Blake Shelton is still a coach on NBC's The Voice.